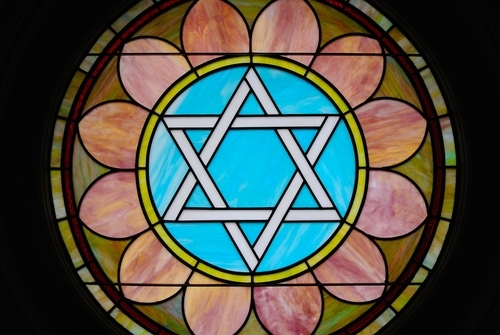 Why do synagogue sanctuaries have windows? Are you familiar with the expression ‘bedroom eyes’? Perhaps we can add variation of that to our spiritual lexicon: sanctuary eyes. What kind of eyes are those? To answer that question, we turn to the above teaching of Rabbi Yohanan, a well-known Talmudic scholar, in a tractate devoted primarily to blessings. Individuals are advised to pray in a space with windows. This has translated into an important feature of synagogue architecture, namely that synagogues must have windows. Ideally, synagogues should have 12 windows in the sanctuary, although not all of them must face Jerusalem. Some interpret this number to correspond with the 12 tribes, and it’s not hard to jump from here to ornate stained-glass windows. Yet, this aesthetic trend in synagogue building may actually diminish the purpose of the windows in the first place because stained glass refracts light from outside to create a mosaic of color inside. Jewish law, however, advises windows in a synagogue to get us to focus outwardly. We all know the feeling of being in a room without much light. We might even have a visceral reaction to a dark room and begin to withdraw into ourselves physically and mentally. The space seems smaller and more depressing, and we internalize that sense of diminishment. Prayer, to be a genuine service of the heart – as it is referred to in rabbinic literature- requires expansiveness, the possibility of an open sky, the light that points heavenward. The wife of Edward Hopper, the well-known American artist, was once asked, “What is the most difficult aspect of being married to a great artist?” She replied, “It took me a long time to realize that when he is looking out the window, he is working.” The view outside inspires us, provokes us, invites us into an unknown that is generative. Prayer, by that token, should stimulate the same responses. Rabbi Yohanan uses a proof-text from Daniel to make his point and, in so doing, adds yet another dimension to the window rule. Daniel was in exile, facing momentous challenges; for him, the window open to Jerusalem was not literally open to that view, but metaphorically open in the direction of his longing. To be in exile is its own state of darkness and paralysis. It stifles autonomy and creativity; it is limiting in the way that a room without windows shuts out light. Symbolically, Daniel’s open window was both a portal to another, more utopian life and a reminder not to forget one’s most authentic compass point: Jerusalem. Windows, being transparent, are not only ways to look out of a synagogue and transcend physical space; they are also a way into the synagogue. Synagogues often seem architecturally distant and remote. Many are large, towering structures that do not visually appear to beckon us in. But a window is always a tease in a building. Think of a walk in a nice neighborhood in the evening. Lit windows offer us a glimpse into another life that stirs mystery and curiosity. Windows are a building’s intimacy. Since windows are both ways out and in, they offer us a metaphor for transcendence. In the synagogue, we should look out, imagining that through light and nature we better appreciate God’s world. When we are outside, we can bring our sanctuary eyes with us and feel blessed by God for all that our eyes take in of our majestic universe.